Country Fire Service air ship and firefighters are engaging to control a grass fire south east of Glen Innes on Wednesday evening. 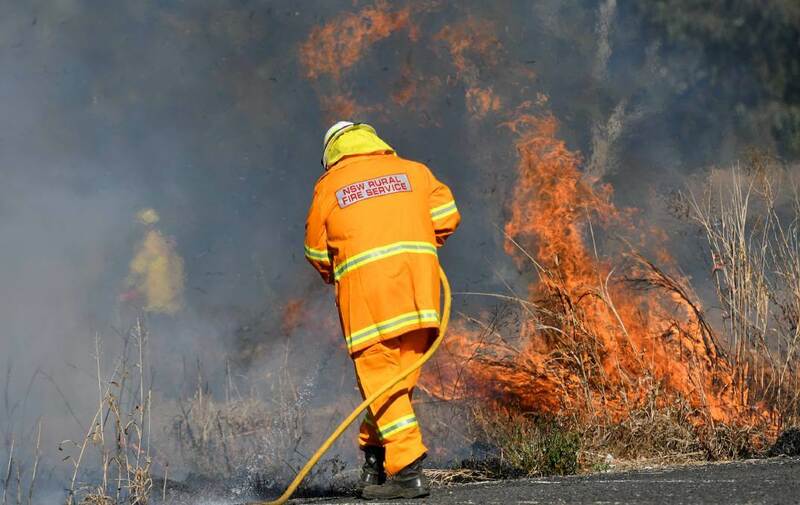 The grass fire, close to Costello's Road close Pinkett, started up some time on Tuesday morning with the Northern Tablelands RFS issuing its first cautioning at 10am. Around then the fire had expended 400 hectares of land, despite the fact that that zone had spread to no less than 1140 hectares by 3.30pm, in spite of the fact that is named 'being controlled' under a Watch and Act alarm. The fire has been consuming in an easterly heading towards Pinkett Rd, Ryans Road and Pinkett Showground, with the RFS cautioning that properties may go under risk later toward the evening and night. A RFS representative said that the fire is consuming under high fire conditions. "Firefighters bolstered via flying machine are attempting to moderate the spread of the fire and secure segregated country properties. "Under these conditions, flames can be hard to control. Coals might be blown in front of the fire, making spot fires. These spot flames may debilitate your home sooner than the anticipated principle fire front." Inhabitants in the region of Costello Road and Pinkett Road are asked to screen the circumstance and guarantee their Bush Fire Survival Plan is up and coming. "Remain a la mode utilizing online networking, nearby radio, the RFS site and the Fires Near Me application."